With a title like that, you might assume that this novel is about Paris. But it is not. Paris is not a principal character or a subject that is developed in any systematic way, although the city is the setting of much of the story. The novel is above all the story of a handful of French families, representing different types and strata of society over the centuries since the late Middle Ages. From generation to generation, their personal lives unfold in the context of major public events, some of them not in Paris (or even in France). Along the way, the author tells about Paris in Wikipedia-like briefings, usually delivered by one of the characters explaining the historical background to another. Though principally a storyteller, Rutherfurd assumes the role of historian explicitly at the outset of thenovel. On the very first page he launches into a lightning-quick survey of Paris history– from the Parisiis’ home on the Seine and the Romans’ town of Lutetia to the medieval city of Gothic churches and dark narrow lanes and then to the “new” Paris of “classical spaces” and the renovated city of Haussmann —all in 2 ½ pages. From there on in almost every chapter, famous figures come into the story: from King Louis IX, Philip Augustus, Villon, and Richelieu to many others in the last third of the nineteenth-century (Gustave Eiffel, Claude Monet, gallery owner Paul Durand-Ruel, among others) and the twentieth century (Coco Chanel, Marc Chagall, Ernest Hemingway, and Charles de Gaulle, to name just a few). The bigger roles, however, go to fictional characters, members of different generations of several families, sometimes separated by centuries. The story begins in 1875, four years after the “terrible year” of war and Commune. First to appear is the financially strapped aristocratic family named de Cygne, who instill in young Roland de Cygne their traditional values of military honor, devotion to the monarchy and Church, and an unshakable sense of superiority. Next we meet a well-to-do businessman, Jules Blanchard, scion of merchant forbears and a physician grandfather enriched by serving Napoleon’s inner circle. Another bourgeois family, named Renard, also descends from a line of merchants going back centuries, but this family became Protestant in the sixteenth century, and part of it migrated to England in the next century, after the revocation of the Edict of Nantes. One segment of the lower class is represented by the Le Sourds, for centuries a family of cutthroats and rebels of one kind or another. In 1875 the widow of a Le Sourd bitterly tells her son how his father, a printer by trade and an ardent Communard, was shot and killed at the wall of the Fédérés in Père Lachaise by troops commanded by the Vicomte de Cygne, father of Roland. She also impresses upon her son that the Paris Commune was a just and courageous effort to fulfill the hopes of the French Revolution. Another working-class family, the Gascons, gets by without regularly engaging in crime or ever in politics. When we first meet Thomas Gascon, in 1883 (Chapter II), he is a skilled ironworker helping to construct the scaffolding of the Statue of Liberty. Several years later, he is working on the construction of the Eiffel Tower. Thomas and his brother Luc are sons of an easygoing laborer, at times a water-carrier, sometimes unemployed. Luc works as a waiter in the Moulin de la Galette, but also performs shady services on the side, dealing in drugs and women for hire. Finally, there’s a Jewish family named Jacob, whose thirteenth-century ancestors were a physician and a moneylender. In the late nineteenth century the men of the family earn their living as antique and art dealers. For almost all the other characters, the Jews are not really French or trustworthy. From chapter to chapter or even within a single chapter, the story often jumps from one of these families to another. For many readers and historians in particular, the disjointed structure of the novel will probably be disconcerting. The narrative shifts abruptly not only from family to family, but also from the nineteenth and twentieth centuries to many centuries earlier–and then abruptly back to the modern era. These chronological leaps allow the storyteller to show how nineteenth-century characters and their late-medieval ancestors shared family traits or parallel experiences. In some cases an episode is about a personal crisis, such as a Le Sourd threatening the life of a de Cygne. In the case of the Jewish family, the scattered episodes relate similar dark times– persecution of Jews in the thirteenth century, hatreds erupting around Alfred Dreyfus, and police roundups under the German Occupation. Many of the characters, however, are not given enough in-depth development to be recognizable hundreds of pages later when Ruthrfurd moves to a relative in more recent times. Is it a “page turner”? At over 800 pages, it had better be a good easy read… or most readers would probably quit somewhere along the way. It does read quickly. Many sentences are short. The characters are not complex. The story is told in clear-cut episodes. Good characters face challenges and crises. Suspense builds in each episode. There is plenty of dramatic action. But the dialogue is often stilted (one working-class young man warns a couple of local toughs: “Leave my brother alone or I shall be angry”) or jarringly anachronistic. The plotting is rife with improbable encounters and coincidences. Some of the characterizations—of the Le Sourd family, particularly–are heavy-handed and melodramatic. And the imparting of historical information through the voice of a character comes across as pedantic and unnatural. Rutherfurd is at his best when telling the story of a romance or some life-and-death peril involving a character. Thomas Gascon’s love-at-first-sight for a mysterious woman named Edith and their long off-and-on courtship is particularly engaging. The storytelling is also engrossing when a conflict between characters threatens to culminate in murder, as in several episodes involving a Le Sourd and a de Cygne. Overall, the novel works best in the last third of the book, where the plot lines of the different families come together regularly, and there are fewer leaps back to earlier centuries. The last part builds to dramatic peaks, particularly as it follows the characters through the dangers of German Occupation. Does the novel teach much history? The novelist surveys many centuries of French history, but how much of it will students take in? The answer will depend largely on the student, though also to some extent on the quality of the history-informed storytelling. At its best, historical fiction can transport the reader into another era by evoking the ethos and customs of a distant time and place. It can also interest history-minded readers by making events and people of the past come alive again. In these regards the novel Paris succeeds… in parts. It effectively paints a number of scenes of “local color”—graphic descriptions of Montmartre (the butte, the maquis) and the Buttes-Chaumont Park, for example. It graphically describes the construction of Sacré-Coeur and the Eiffel Tower—in particular, the work of riveting iron sections together ever higher. It also imparts a sense of the conditions of daily life in some epochs. Again, the period of the German Occupation comes across exceptionally well. Devoting the longest chapter (over a hundred pages) to that time, the author recounts the characters’ varied calculations and choices, showing the banality of collaboration and double-dealing. He also shows the ambiguities and dilemmas facing Parisians trying to survive—by the black market, for example. Altogether the story conveys well the generalized sense of insecurity and the common twists of fortune–betrayals, arrests, and killings. Not surprisingly, the novelist recounts crises and major conflicts more vividly and memorably than the quieter big events in Paris history, such as the funeral of Victor Hugo and the Exposition universelle of 1889. Though the focus remains largely on the fictional characters, the story does manage to evoke the high drama of such historical events as the Saint Bartholomew’s Day massacre, the revocation of the Edict of Nantes, and daring acts of the Resistance under the German Occupation. The French Revolution comes near the end of the novel—in one relatively brief chapter (the 24th), inserted between two chapters on 1936 and the Popular Front. Going straight to the Terror, Rutherfurd zooms in on the year 1794 and follows the trials of an aristocratic couple (de Cygne) who are arrested and await the guillotine. The depictions of Robespierre, Danton, and the widow Le Sourd (“a big-boned, black-haired woman”) are cartoonish, but the story does make clear the diversity of ideological mindsets and the mechanisms of repression. Many events of the late nineteenth century figure in the story–the Commune, Boulangism, the Dreyfus affair, for example—but the information given about them is scattered and brief. Some of the most exciting days in Paris history receive little or no attention: the author skips over the opportunity to describe the celebration of the Armistice ending the Great War (the scene described takes place in London, not Paris) as well as the collective joy of the Liberation in late August ‘44. Historians will find a few factual errors, but not many. The Petit Palais and Grand Palais are described as “art nouveau glass houses” (p. 631) for reasons I do not understand. One other error, I suspect, was made deliberately: Rutherfurd has the city of Paris (rather than the national government, the Third Republic) mounting the Universal Exposition of 1889 and ordering the construction of the Eiffel Tower. Why that departure from history? Because it fits better with the novel’s title, Paris? Lastly, I note that a measure of social history comes through the stories of the characters and their work, marriages, and leisure practices. The characters exemplify typical (perhaps stereotypical) mentalities and lifestyles of France’s nobles, middle classes, workers and a Parisian underclass. The story shows clearly, as much French fiction does, the up-and-down fortunes of nobles and merchants, the interests of different parties to a potential marriage, the importance (to many) of marrying into money, and the ambiguous lines of morality surrounding sexuality and prostitution. The author’s choice to bring out the longue-durée of family identities privileges continuity of social position over change. Some of those identities come out starkly stereotypical. Most of the Le Sourd family, for one, play a villainous role through the centuries, embodying the image of the “classes laborieuses et classes dangereuses” that Louis Chevalier portrayed in his book on early nineteenth-century Paris. Another case of stereotyping is the portrayal of the Jewish moneylender Baruch, described as “corpulent” and “inclined to be loud and argumentative” (p. 108). Those who already know the famous highpoints of France’s past may enjoy coming across familiar historical figures and events–in the way that a traveler in a faraway place might happily recognize a face from home. 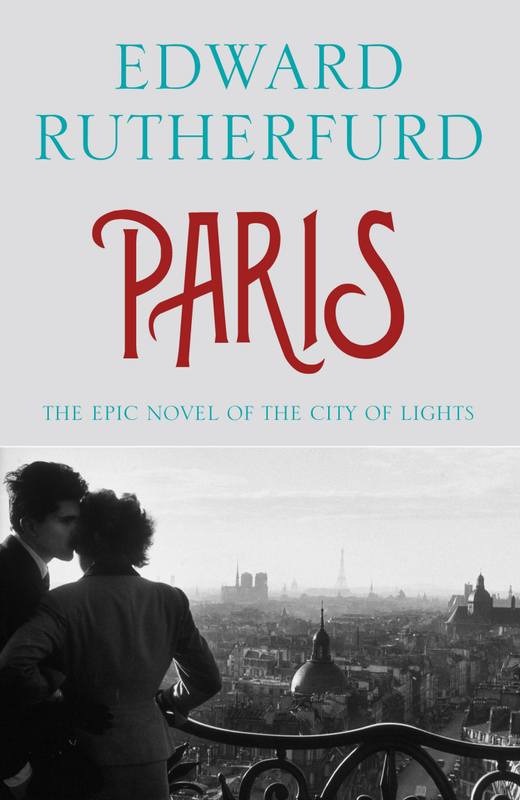 Those readers are herewith assured that Rutherford has packed into his novel just about everything prominent and well known in French history–from kings, palaces, and the arts (Impressionism to Surrealism in a couple of pages), politics and revolutions to the topographical features of the city and thumbnail sketches of each arrondissment. Readers who know little or no French history can get a sense of some major events, but they will get nothing like the historian’s multi-dimensional treatment, especially of structural factors and impersonal forces, or the longer view on any issue. They will also not know whether the narrator is faithfully following historical records or at what points he is embroidering through fictional encounters and conversations. The best any instructor can hope for is that the novel will pique a student’s curiosity and will lead to further reading—preferably historical studies written by historians. 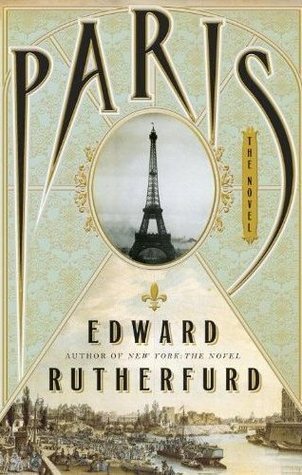 Edward Rutherfurd, Paris, the Novel. New York, London, Toronto, Sydney, and Auckland: Doubleday, 2013. Louis Chevalier, Classes laborieuses et classes dangereuses: à Paris pendant la premiere moitié du XIXe siècle (Paris: Plon, 1958). See also Barrie M. Ratcliffe, “Classes laborieuses et classes dangereuses à Paris pendant la premiere moitié du XIXe siècle? : The Chevalier Thesis Reexamined,” French Historical Studies, Vol. 17, No. 2 (Autumn, 1991), pp. 542-574, and Ratcliffe, Barrie M. and Christine Piette, Vivre la ville: Les classes populaires à Paris (1ère moitié du XIXe siècle) (Paris: La Boutique de l’Histoire, 2009).